For the last 3 years or so, there has been a recurring issue on Monitor St and enough is enough! Cars parked along Monitor, usually between Greenpoint Ave and Norman, close to the corner of Norman, are repeatedly being broken into. It’s always the same MO, the driver side window is smashed in and whatever loose change or valuables that are in easy reach is stolen. My brother-in-law’s car was hit last night… and it’s actually the second time. 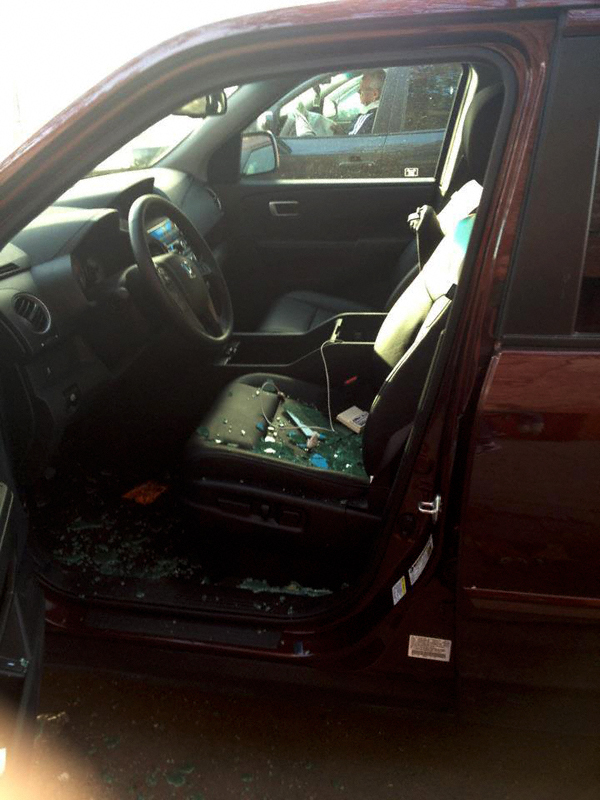 I’ve personally seen at least a dozen different cars that have been broken into in the same spot, in the same fashion. According to neighborhood gossip, the culprits are a group of kids that live in the area, only a block or two away. It’s time that the police address this problem. Nightly patrols past the area, better lighting and a security camera installed would go a long way. And if there are witnesses that can identify these kids, how are they still getting away with it? I’d appreciate it if you could post and bring some attention to the problem. Unfortunately, there will be no more 94th Precinct Community Council meetings this year (the one scheduled for this month was cancelled due to the nor’easter). However, I have forwarded K’s email to the head of the 94th Precinct, Deputy Inspector Hurson, so he is aware of the situation. In closing this is as good a time as any to remind everyone that regardless of where your vehicle is parked do not leave your valuables in plain sight where would-be thieves can see them. “Smash and grabs”, as they are known, are quite a problem here!